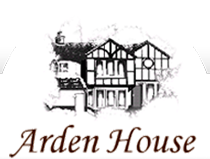 Our aim within the Arden House Nursing Home is to care for residents in the same way and in the same environment that we would want for our own parents. It is so important that care homes become a real home, with all the feelings and emotions that we associate with the word, for the residents, their families and their supporters. In delivering this commitment, a resident must be allowed privacy, dignity, independence, security, choice and fulfilment within a quality care environment. We must protect and ensure each and every individual’s human and civil rights. These objectives are the cornerstones of our philosophy and have become imbedded into the way Arden House operates. The residents’ needs and wishes must come first in a nursing home. We will provide care and assistance where necessary and company or privacy as desired. We will deliver this in an informal atmosphere, with care and thought at all times, ensuring that residents take an active part in making their own decisions. Quality care can only be delivered with quality staff. At Arden House, we are rightly proud of the care team that work with us. Staff have been chosen for their understanding and dedication, as well as their care skills. We work closely with each member of the team to maximise their full potential through continued training and assessment. This training has allowed our care to become attentive yet discrete, giving residents confidence and support throughout their stay with us. The decision to move into a nursing home can often seem daunting, not just to the resident, but often to the family and their supporters. People fear that they are moving into an institution, where they will have to give up everything that has made them a unique and individual character. For this reason, we must care for the whole person, not just their physical needs. We aim to provide a warm and comfortable home to live in, to listen to our residents, to show respect and to treat our residents with dignity. By offering them real choices and control over their own lives, we try to ensure that all residents enjoy quality of life whilst in our care.